You might not think of it this way, but your smartphone is probably underachieving. Sure, it’s doing a great job storing selfies, catching Pokemon, and snapping vertical video, but it’s capable of so much more. Your smartphone is a small but powerful computer. This is an important point since computing power is emerging as a precious resource in the quest to solve cancer. Increasingly, researchers depend on supercomputers to crunch immense amounts of data and to learn more about cancer and other serious illnesses. DreamLab, an app created by the Vodafone Australia Foundation and the Garvan Institute of Medical Research, harnesses the computing power of our smartphones to help solve the cancer puzzle. By using the app, users can help speed up research to find better ways to treat this pervasive illness. For decades, cancer was diagnosed, classified, and treated according to the kinds of tissues in which it originated. For example, breast cancers were treated using drugs developed specifically for tumours in the breast. But researchers now think about cancer in a different way: as a disease of the DNA. The 13 billion base pairs that make up our DNA – our genome –make each and every person in the world unique. But this is also what makes each person’s cancer unique. In recent times, scientists around the world have worked to decode and sequence genomes. The aim is to better understand the genetic makeup of cancers so that specialists can shift from a ‘one treatment fits all’ approach – based on where the cancer started – to a tailored treatment program based on their patients’ unique genetic profiles. This is important for two reasons. First, tumours with certain genetic profiles may respond to certain anti-cancer drugs better than others. For example, if a person’s pancreatic tumour has a genetic profile similar to a breast tumour, then they may respond better to a drug developed specifically for breast cancer. Second, this information can also help tailor a patient’s treatment plan. By understanding a patient’s genome, doctors can determine the specific combination of drugs that will best suit their patient and avoid any harmful side effects. According to Dr Jianmin Wu from the Garvan Institute of Medical Research, personalised medicine facilitates greatly improved treatment programs. “Whole genome sequencing,” Doctor Wu notes, “allows us to pinpoint the exact molecular aberrations of each tumour. Understanding the aberrations allows you to target them with drugs”. In other words, by knowing more about a patient’s genome, doctors can narrow the range of medications and treatments they will prescribe for each cancer. In developing its personalised medicine program, the Garvan Institute aims to compare the genomes of thousands of cancer patients. Compiling such a large dataset will allow researchers to classify cancers into groups based on patients’ genetic profiles – not simply according to the tissue in which those cancers originated. Researchers envision a future in which this data library will allow those diagnosed with cancer to benefit from much more effective and accurate assessments of their illness. In the future, those diagnosed with cancer will have their genomes sequenced and compared to this data library. This way, doctors will be able to develop customised treatment plans that are known to be effective for a patient’s specific genetic profile. Each genome sequenced generates about 500 gigabytes of data — a huge quantity of data that’s roughly equivalent to 100 HD movies, or 500,000 minutes of music streaming. Unsurprisingly, then, comparing thousands of genomes requires a tremendous amount of data processing power. A choke point in this research has been the sheer quantities of computing power required. The more computing power that’s available, the faster patients’ genomes can be analysed and potential new treatments discovered. But supercomputers are expensive. And even with one, the vast quantities of data involved in this project means that what data are collected will take significant time to process. Inspired by the presence of small, powerful computers in the pockets of millions of people around the world, DreamLab aims to augment the processing power available to the Garvan Institute. 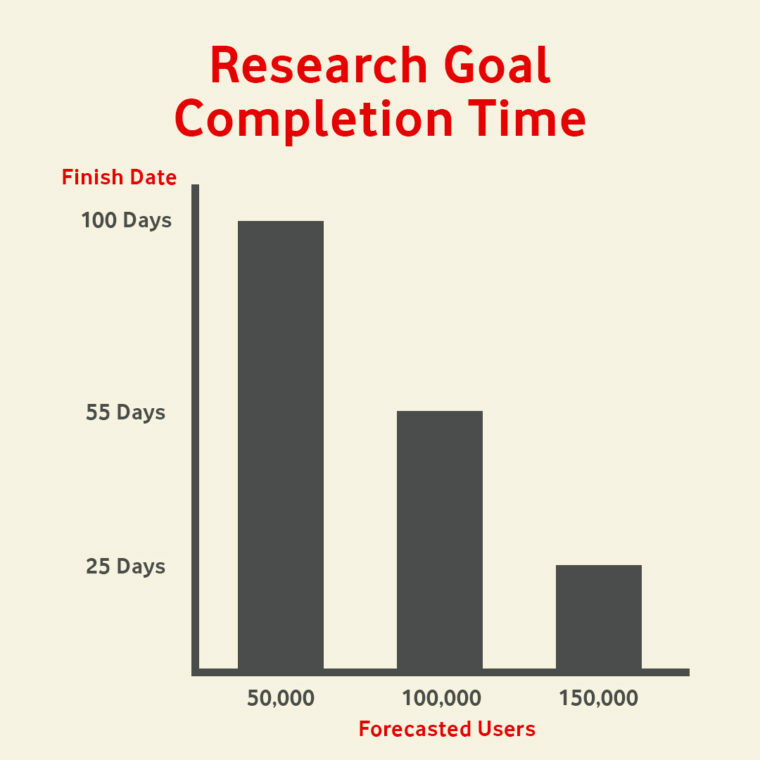 By harnessing this power, data can be processed faster and research completed sooner. The DreamLab app works in a particularly clever way. It analyses an enormous dataset, one that comprises the genetic profiles of thousands of patients with breast, ovarian, pancreatic and prostate cancer, which is stored in the cloud. When you download DreamLab and charge your phone, the app downloads small pieces of information about two specific types of cancers. Using your phone’s computer processor, the app then compares these genetic profiles to identify their similarities and differences between different tumours and sends the answer back to the Garvan Institute. Before Garvan’s researchers use any of this data, however, three different phones solve each problem so as to ensure the validity of the results returned. To complete the first project, DreamLab will need 100,000 active app users to complete its data crunching within 12 months. Once the data is processed, it will then be analysed. As is the nature of empirical research, one can never be certain about the meaning of the findings, or of whether the research will bear fruit at all. However, the goal is to speed up the data crunching, to increase the Garvan Institute’s chances of making more transformative discoveries more quickly. Any results discovered thanks to DreamLab’s data crunching will be published in scientific journals to be disseminated among the global community of medical researchers. It is hoped these findings would then be translated into clinical treatments for implementation both in Australia and around the world. The Vodafone Foundation DreamLab initiative was initially developed to find a solution for a specific research problem for Garvan Institute. However, as the user base of DreamLab grows, and as researchers increasingly depend on computing power – there is a great potential for DreamLab to power more important research questions. In the coming months, we’ll be enabling users to support more cancer projects from Garvan Institute. Additionally, as there are 27 Vodafone Foundations around the globe, we’ll be working with other Vodafone markets to proactively promote DreamLab in more parts of the world – to both increase the user base, and to help answer more of the big medical research questions. 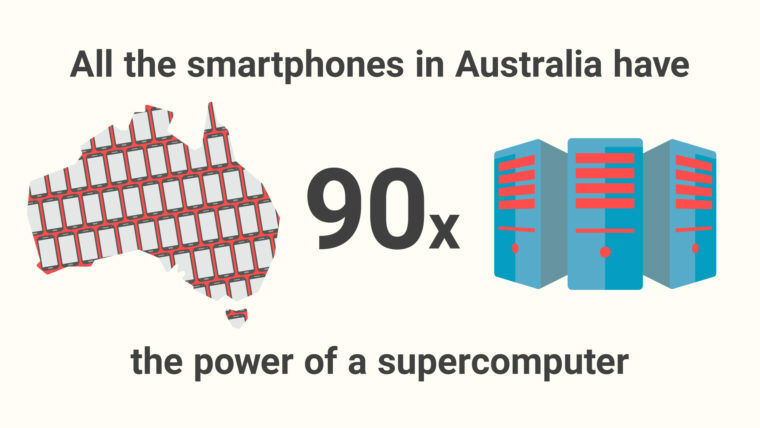 Vodafone Australia Foundation’s longer-term vision is to develop a flexible, international, and diversified base of computing power, one that may be made available to researchers studying any important scientific research problem in need of data processing support. At Vodafone, we see DreamLab as one of the next big steps in the global effort to utilise big data and digital connectivity for better outcomes. Uber, the largest transport company in the world, owns no cars. Airbnb, the largest accommodation company in the world, owns no property. The value of material resources – cars, houses, and now computing power – is increasingly tethered to their shareability. Apps that enable resources to be shared allow for more efficient uses of those resources, benefiting both resource owners and those who need to use them temporarily. DreamLab brings together the untapped potential in the network that powers our daily connectivity – with the underutilised computing power in your pocket. It’s about using the power of the network and your phone – for good. Why not lend DreamLab your phone? Download DreamLab today and help vital cancer research while you sleep. ^A compatible handset is required. Downloading DreamLab will consume data. Once downloaded, DreamLab can be used when your device (i) is connected to a charging source and (ii) has mobile network or WiFi connectivity. Mobile data to use DreamLab is free for Vodafone Australia customers on the Vodafone Australia network. Roaming incurs international rates.